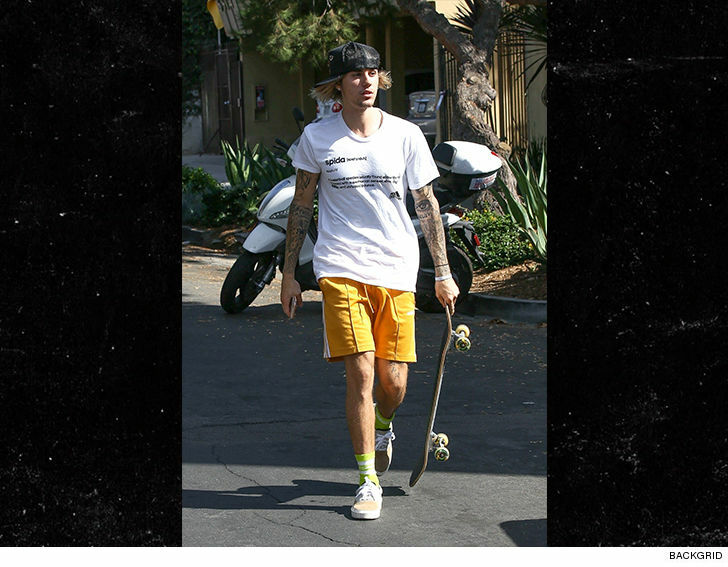 Justin Bieber ﻿﻿﻿is getting a feel for his new surroundings, tearing up the streets of his new neighborhood on his skateboard. The Biebs busted out his deck for a Friday afternoon skate sesh and kickflipped his way through Toluca Lake ... making sure all his neighbors know there's a new kid on the block. Check out the threads ... looks like Justin's a big fan of Utah Jazz star Donovan "Spida" Mitchell. The Jazz open their season Wednesday, and we're guessing Justin can't wait to see what Donovan has in store for an encore. We broke the story ... Justin and new wife Hailey Baldwin are renting a lavish pad in the San Fernando Valley for nearly $100k per month. Nothing like ripping through the streets to get a bearing on things.